Symbiotic relationship between corals and plants triggered kinaesthetic images in my mind that were in tiny movements, becoming a lens through which I have experienced... conversations. Symbiotic impressions: They say the first impression is the one that counts. So it is the case for this piece. After being exposed to six months of conversations on science, art and their crossover, mixed with research processes and explanation of outcomes, it was the very first conversationthat left its mark. Symbiotic relationship between corals and plants triggered kinaesthetic images in my mind that were in tiny movements, becoming a lens through which I have experienced myself witnessing the remaining conversations. In the performance piece, Symbiotic impressions, two dancers will create real time choreography while exploring symbiotic relationships and what happens to the two parties involved when their environment gets exposed to stress and changes. 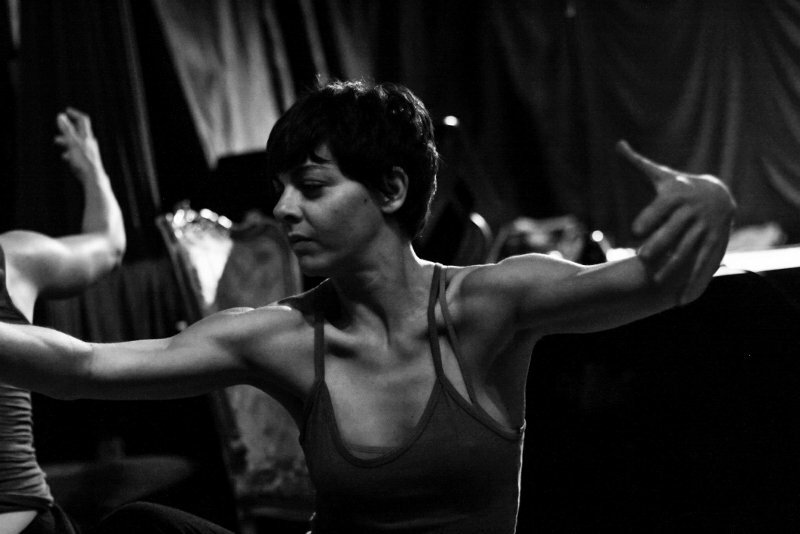 Bio: As an independent dancer and choreographer, my contemporary dance practice is grounded in Contact Improvisation, through which embodied responses shape my real-time choreography. I consider my engagement with climate change science filtered through my collaboration with Lisa Roberts. It can be described as an incidental encounter that had its origins in Lisa's investigation into human responses to climate change. My engageent with the science expanded into a series of cross-disciplinary performances with the intention of making scientific data available in more accessible way. Oceanic Sydney, Associate Event of Arts and About Festival 2012, was the culmination of this process. It presented to a general audience an immersive experience of animated scientific data and human gestures, with the immediacy of live dance and music. These expressions of understanding are combined to convey their messages through the collective imagination.